The NNTN7033 is a 4100mAh Li-Ion Intrinsically Safe battery. Intrinsically safe batteries can be used in locations where flammable gas, vapors or combustible dust may be present. IMPRES batteries when used with an IMPRES charger provide automatic, adaptive reconditioning, end-of-life display, and other advanced features. Data is stored in the battery and communicated to the charger via a unique IMPRES communication protocol which is designed to maximize talk-time and optimize battery cycle life — all automatically. This rugged battery meets an even more stringent military standard (MIL-STD-810E, Method 512.3 Immersion) allowing it to be submerged in water for up to 2 hours. 5.07" x 2.34" x 1.57"
Specifically designed for extreme environments with exaggerated controls and multi-band interoperability in a rugged design. 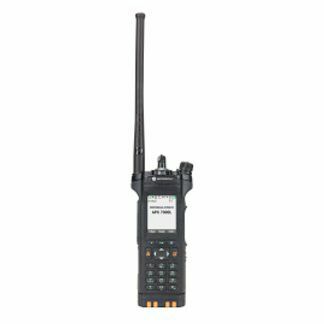 A smart investment delivering leading edge technology in a lightweight design with single band operation and future P25 Phase 2 capability. 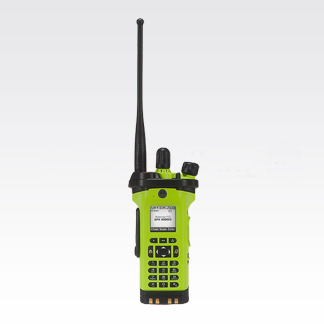 Sleek and durable for mission critical operations, the APX 7000L is ideal solution federal government first responder that require the most up-to-date information faster and more efficiently, all the while maintaining voice communication simultaneously. 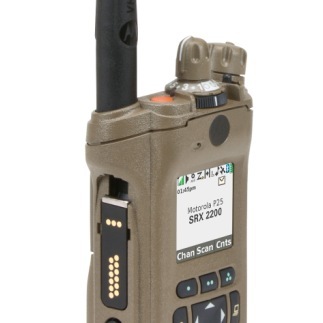 Battle-tested and military-trusted, this ruggedized and reliable two-way radio was specifically designed to enhance warfighter safety and productivity. Designed for gloved users working in extreme environments with exaggerated ergonomics and rugged specifications. 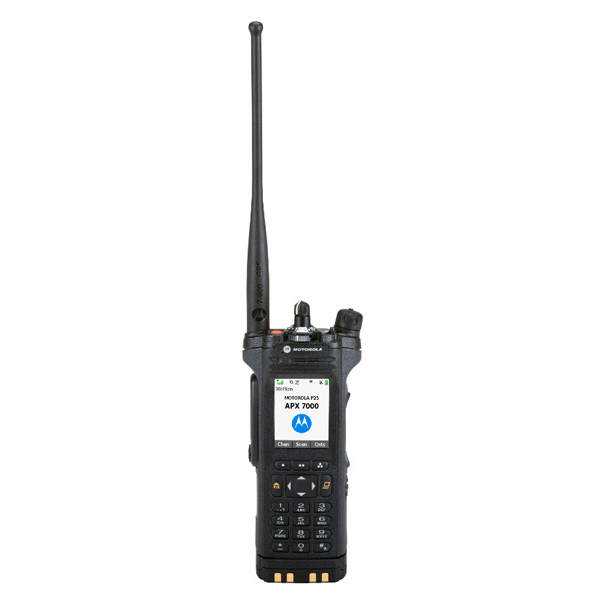 Ideal for agencies requiring advanced features in a smaller, single-band form factor. 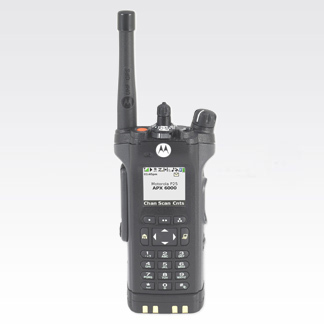 Motorola's top of the line P25 two-way radio capable of multi-band operation, backward and forward compatibility (Analog/Digital, FDMA/TDMA), and integrated GPS for outdoor location.